Nonperforated, 9" dia. rolls. 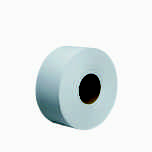 White, 3.5" wide. 1,000 feet per roll. 8 rolls per case. 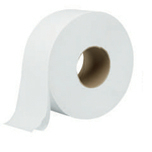 Green Seal-certified Boardwalk® Green jumbo tissue is 100% recycled and exceeds EPA guidelines for post-consumer waste. 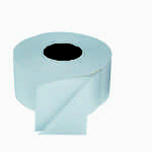 The jumbo roll is ideal for washrooms with heavy traffic.